Hennen Furniture: Red, White and Ooh! 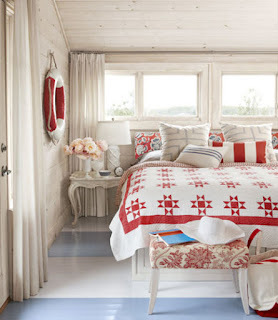 There’s something refreshing about a red, white and blue color palette. I think I’m attracted to it because nothing says summer more than decorating with this patriotic theme. 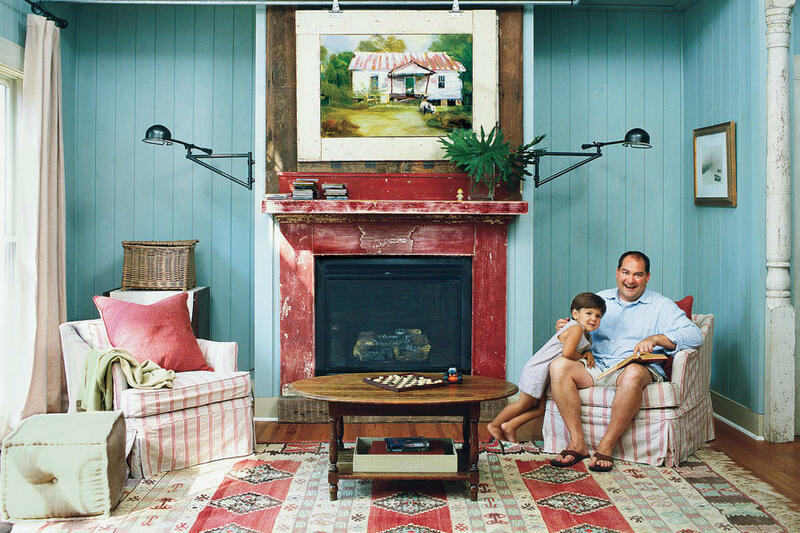 We love this twist on red, white and blue from Southern Living. 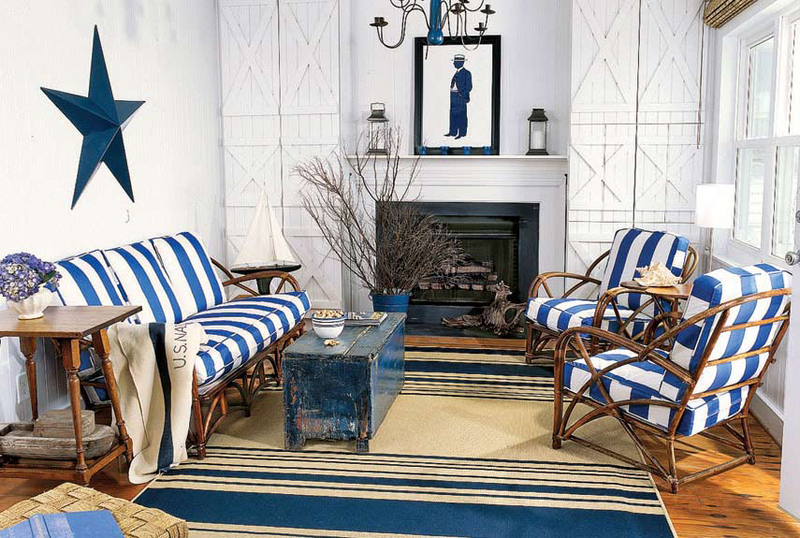 The history of Americana decorating goes back – you guessed it – to our country’s independence. 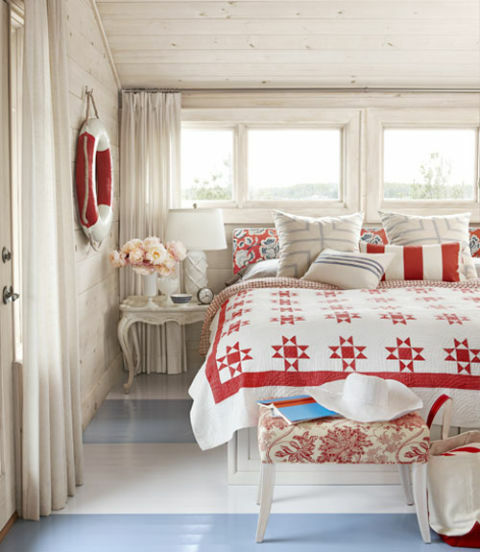 If the traditional primitive country, red-white-and-blue look isn’t for you, you can take a more subtle approach. Here’s some ways to incorporate a patriotic theme into your home décor without being kitsch. You don’t have to match our nation’s flag. Choosing a red/white or a blue/white theme is still patriotic without being too literal. 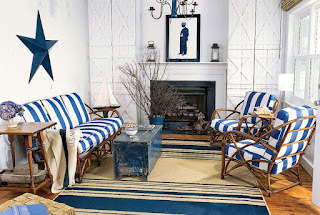 Or consider using different tones of blue paired with red and white for a more sophisticated look. 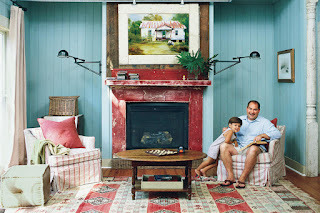 with muted blue painted floors, a life preserver and vintage quilt. Incorporating a flag motif into your decorating can be as easy as adding a throw pillow, blanket, framed flag or folk art to your space. Using elements of our grand ol’ flag is yet another way to get that patriotic feel. Stars as wall art or a striped area rug underfoot can be the perfect touch to your patriotic inspired room. Old, handmade quilts are a favorite of patriotic decorators. They exude comfort as well as a nostalgic nod to our past. Another subtle patriotic themed living room from Country Living. There may never have been a more patriotic time than during the World Wars. Uncle Sam, Ruby the Riveter and other iconic symbols from these eras are popular subjects for reproduction and antique décor. 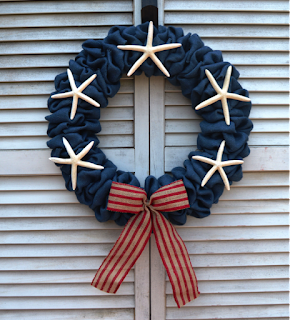 You’ll find oodles of handmade and vintage patriotic décor on Etsy. Commonly overlooked decorating items are vintage maps. Find old maps in magazines, in antique shops, and in bookstores that carry antique books. Once framed, these worn, yellowed maps are a fantastic wall accent. If you like to do handcrafts, you might decoupage a few to an old desk top. Using these materials in unusual and unexpected ways brings character to your home. 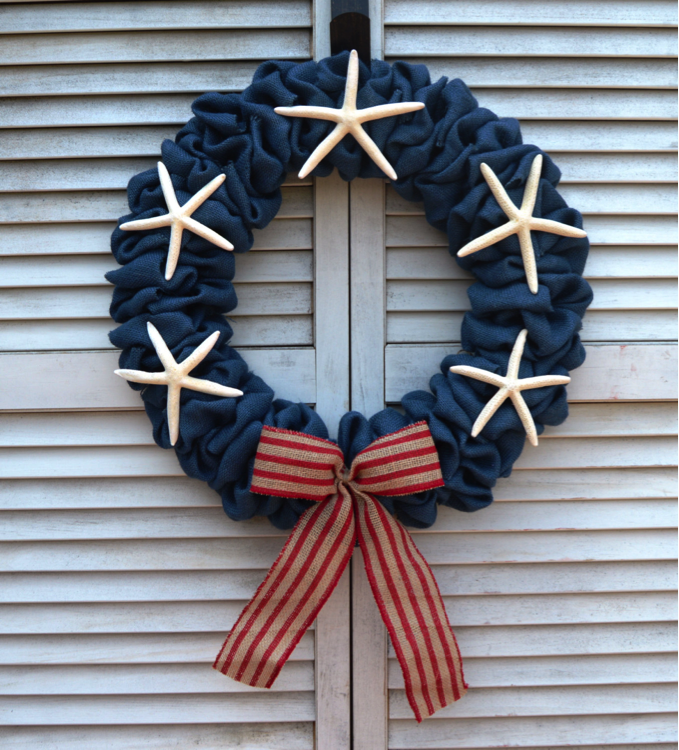 So go ahead, try a little patriotic decorating this summer!